Finding a vehicle that both meets your needs and fits your budget doesn’t have to be difficult, especially at Crestview Chrysler. We offer a large selection of used vehicles, low mileage used cars, and even have a special section devoted solely to vehicles under $15,000. We also do trade-ins to make it easier for you to leave the lot with the vehicle you have your heart set on. Keep reading to learn more about the perks of buying pre-owned vehicles and trading in your current vehicle. Now that you’ve got a good idea of why purchasing a used vehicle is the best way to go, it’s time to take a look at some of the used vehicles currently available here at Crestview Chrysler. 2013 Chrysler 200 Touring V6 ($14,899) – This black-on-black sedan offers drivers the ability to stay recent with their model year choice by providing access to an upgraded yet affordable sporty sedan. 2012 Chrysler Town and Country Touring w/ Sunroof, Navigation, and DVD ($18,665) – Families looking to save money without compromising on available features can score big with this stylish, affordable, and fuel-efficient minivan selection. 2013 Dodge Dart SE ($10,582) – This fuel-efficient sedan is able to provide drivers with a host of upgraded features and fuel consumption as low as 6 L/100 km on the highway and 9 L/100 km in the city. 2014 Dodge Avenger SXT ($14,308) – Score big with this heavily discounted sporty vehicle option. Available with a red exterior and black interior, this low-mileage used vehicle will keep you recent, stylish, and under budget. 2010 Dodge Journey R/T AWD w/ Leather, Sunroof, and Navigation ($14,789) – With only 90,912 km under its belt, this SUV is just waiting to guide you through your next adventure. When people think of buying a used vehicle, they may often assume that they won’t be getting a vehicle as reliable and high-quality as a brand new one, but this just isn’t the case. Buying pre-owned vehicles from Crestview Chrysler is no different than purchasing a new vehicle. Before putting our pre-owned vehicles on the lot, we make sure that they undergo a rigorous inspection that checks out the condition of the vehicle and certifies that it is in like-new condition. By doing this, we are able to provide Regina drivers with the best quality used vehicles. 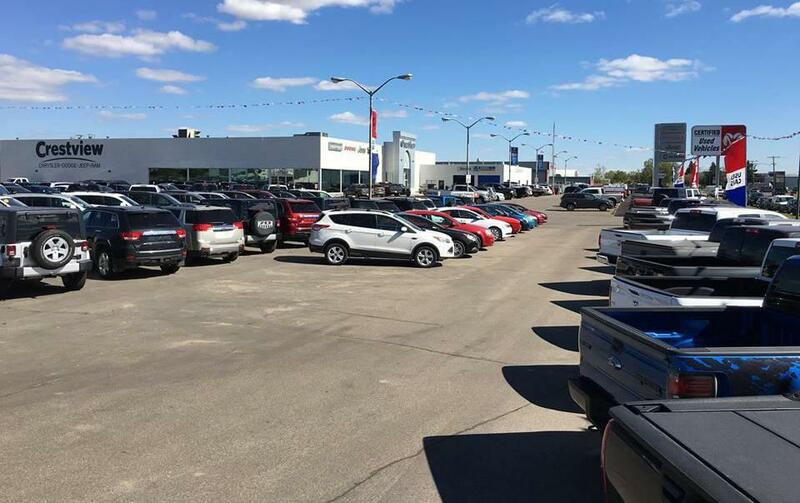 In some cases, purchasing a pre-owned vehicle may even be better than purchasing a new vehicle because Saskatchewan drivers don’t have to deal with possible recalls or issues that may pop up in new makes and models and can rest assured that their vehicle has had the time to phase through this stage.This misconception about purchasing pre-owned vehicles most likely comes from not fully understanding the difference between purchasing from a dealership and purchasing from a private party. 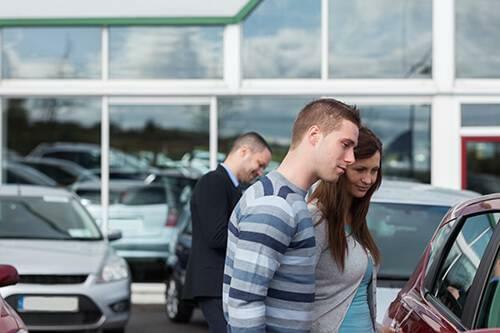 When buying used from the dealership, drivers will have the same experience as if they were buying a new vehicle. When purchasing from a private party, on the other hand, there is no way to verify that the vehicle has been inspected thoroughly and repaired as necessary, leaving you without the peace of mind you need when making a substantial purchase. Another great way to save some money when purchasing a pre-owned vehicle is by trading in your current vehicle and applying the offer to your vehicle purchase. When you decide to trade in your vehicle with Crestview Chrysler, we make sure that we provide you with the best possible trade-in value. You can even get an estimate through Canadian Black Book on our website to get an idea of how much you’ll be able to get for your vehicle. When you trade in your vehicle and purchase a pre-owned vehicle, you are not only giving another vehicle a new home, but you’re giving your current vehicle one as well. It’s a win-win situation all around! With over 100 cars currently waiting to find a new home in our pre-owned vehicle department, we’re sure that we’ll be able to find you a car that suits you best for a price that keeps your bank account thriving. 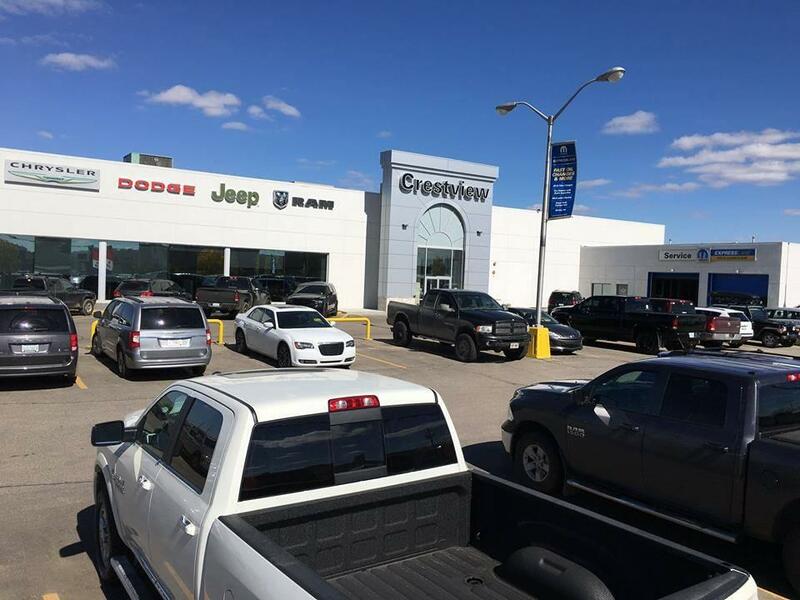 Come down to Crestview Chrysler, located at 601 Albert Street in Regina, or contact us by phone at to learn more about our current stock, vehicle specials, and deals.